Sicilian Najdorf: 6. Bg5 running out of favour? 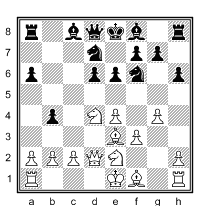 A) 12… Nfd7, the old move. Once giving black a lot of problems, but at present time it seems to equalise without too much trouble. 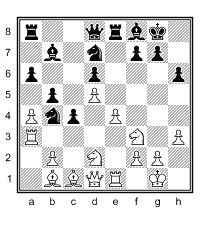 The Aquarium book presents an interesting new idea, featuring 13.Ne4 Qxa2 14.Rd1 Qd5 15.Qe3 Qxe5 16.Be2 Bc5 17.Bg3 Bxd4 18.Rxd4 Qa5+ 19.Rd2 O-O 20.Bd6 f5!? B) 12… Nd5, very solid and still standing firm as a reliable move. It is known for almost 2 years now and sofar white has been unable to gain an edge. C) 12… g5! ?, leading to a very murky position after 13.exf6 gxh4 14.Be2 Qa5 15.O-O Nd7 16.Kh1 Qg5 17.Rf4 e5 18.Nd5 exd4 19.Bf3. 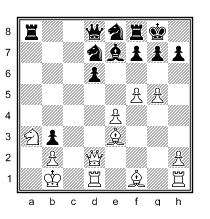 Here 19… Bd6 20.Qxd4 Ne5 is very safe for black, while the Aquarium book prefers the new try 19… Bc5!? 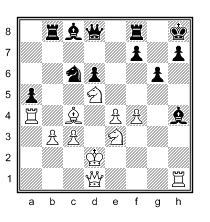 and white must avoid some pitfalls to avoid disadvantage. Will we see a decline in the popularity of 6. Bg5? At this moment the Poisoned Pawn seems absolutely fine for black, putting the ball firmly in white’s court. 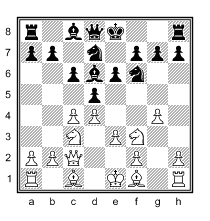 A) 12… Nh5 13.Kb1 and now the normal move 13… Nb6 and the new idea 13… Rfe8!? I) A new side line deserving attention is 14… exf4!? and here black continues 20… Qc7!? or 20… Qc8! ?, intending Qc6 and Qa4. 1.) 21… Qc8!? is a recent try, deserving attention. All in all 6. Be3 e5 remains a very interesting battleground in the Najdorf, with black currently holding his own quite well. 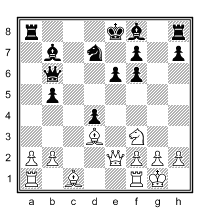 A) Here white can try 9.a3!? (stopping b5-b4), which black can answer by 9… h5!? (stopping g2-g4). I) Currently 10.Na4 h6 11.O-O-O Ne5! 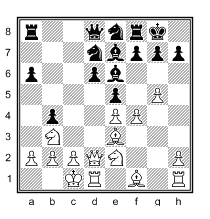 seems quite adequate for black, after 12.Qxb4 Bd7 13.Bf4 g5 14.Bd2 both 14… Be7 and 14… d5 are acceptable. •	11… Bb7!? 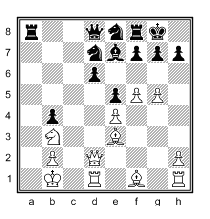 12.O-O-O e5 and now either 13.Nf5, 13.Nde6!? or 13.Nfe6!? 1.) 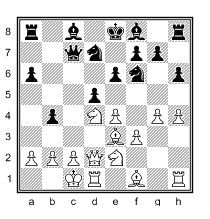 White’s logical try 13.Bh3 – eyeing e6 – is a bit in a crisis, following 13… Nb6 14.b3 dxe4 15.g5 Nfd5 current Rybka analysis comfirms black has nothing to worry about. •	13… Qa5!? 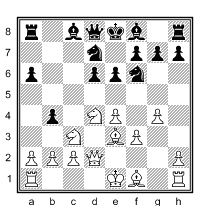 14.Kb1 dxe4 15.fxe4 when taking on e4 or g4 is rather dangerous. Conclusion: 6… e6 is a viable alternative to 6… e5, leading to sharp and enterprising play with chances for both sides. •	15… Bd6 16.Rd1 Rg8 17.g3 Rg4 and now Kramnik’s 18.Bf4!? and the alternative 18.b4!? are examined in detail, as well as the interesting try 18.Nd2!? 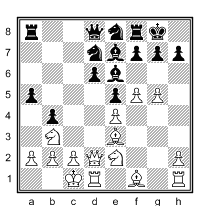 •	15… Rg8 and here the Aquarium book analyses 16.Bf4 Bd6 17.Bg3 f5 18. Rfc1, as well as the new idea 18.a4!? Both lines lead to unbalanced and interesting positions, full of chances for both sides. Semi-Slav Meran: the enterprising 7.g4!? •	7… dxc4!? 8.Bxc4 and now 8… b5 9.Be2 h6!? or 8… e5 9.g5 Nd5 10.Bd2. The sharp 7.g4!? offers dynamic play with non standard positions. In both lines black seems to be OK, although the final verdict is not yet clear. With the Marshall still being one of the most popular Ruy Lopez lines at top GM level these days, the complicated Zaitsev variation seems to be making a nice comeback. Without having to defend a slightly worse ending (as in the Marshall) black goes for an unbalanced position, with many dynamic chances. 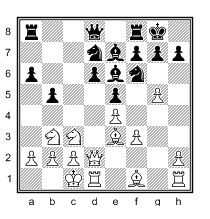 White’s most agressive try since the Kasparov-Karpov matches is still 1.e4 e5 2.Nf3 Nc6 3.Bb5 a6 4.Ba4 Nf6 5.O-O Be7 6.Re1 b5 7.Bb3 d6 8.c3 O-O 9.h3 Bb7 10.d4 Re8 11.Nbd2 Bf8 12.a4! 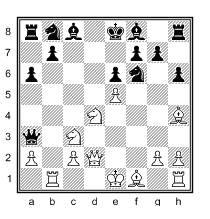 ?, where currently attention is focussed on the line 12… h6 13.Bc2 exd4 14.cxd4 Nb4 15.Bb1 c5 16.d5 Nd7 17.Ra3 c4 (Karpov mainly favoured 17… f5). Now the original sideline 18.Ree3!? 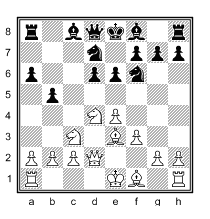 is strongly met by 18… Nc5!, hence 18.axb5 axb5 19.Nd4 is critical, but black is doing fine with both 19… Rxa3 and 19… Qb6. Are you looking for a sharp, dynamic system that offers you a fair share of the chances when playing black, the Zaitsev might be the right choice for you.